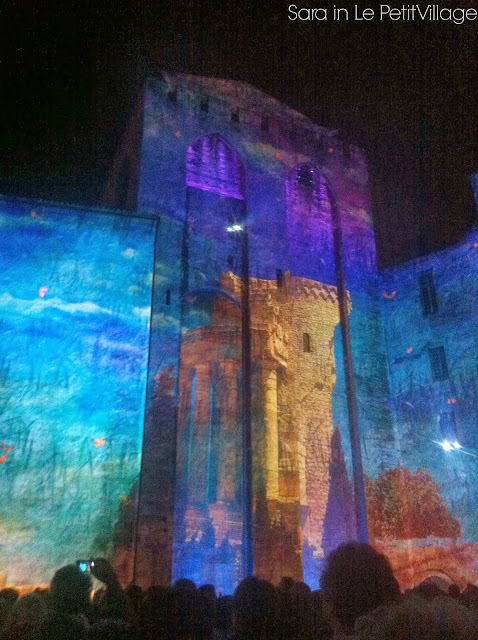 A few weeks back, Baby Cousin mentioned to Gregory that he had taken his girlfriend to see a 3D light show inside Le Palais des Papes. 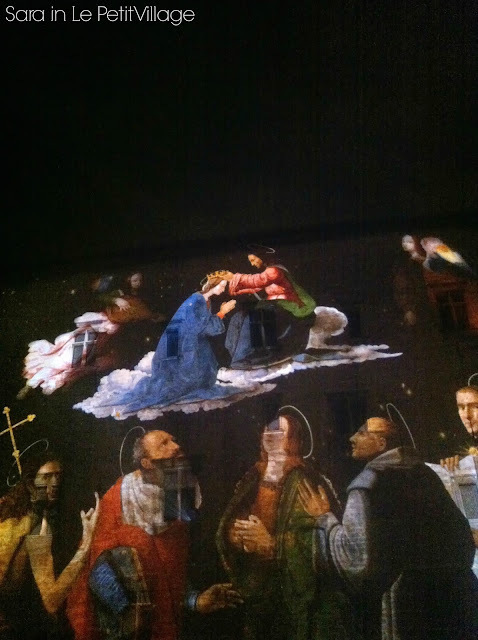 When Gregory told me, my ears perked up immediately... 3D light show? Avignon? The Popes Palace? Oui, oui, and oui. France loves it's light shows. 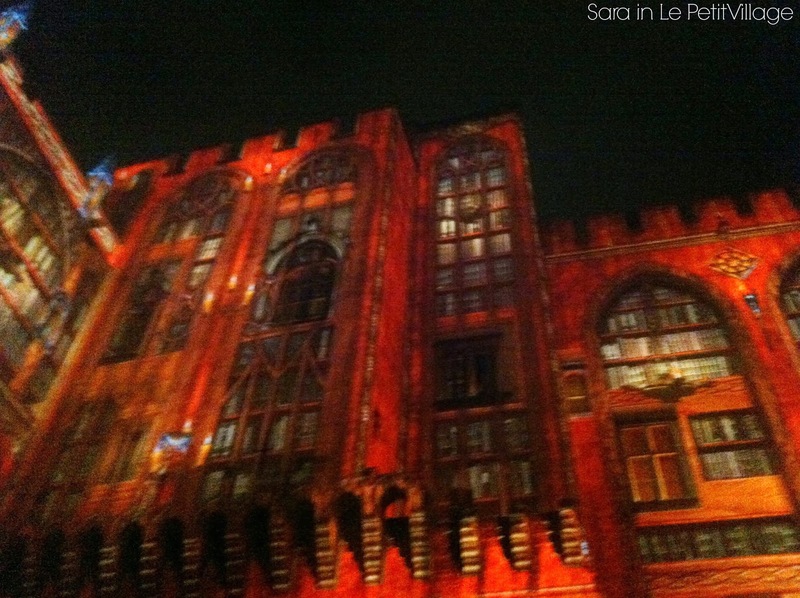 Every year, Lyon puts on it's fête des lumières in December, and Le Petit Village even tried to get in the act. 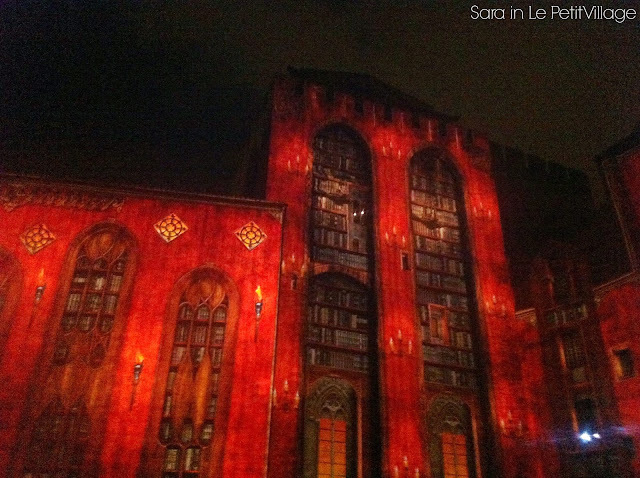 But since I haven't seen the show in Lyon yet, and Le Petit Village's went off in true LPV style (as in it failed with a capital F), there was no way I was missing out on a light show in my favorite city. We grabbed Honey Jr, Honey's Honey, and Mrs. London and took off to Avignon, just in time to see the last showing of Les Luminessences d'Avignon of the season. The show took place inside the courtyard of the palace. When we arrived for the second show of the night, the square in front was already bustling with people. After picking up our tickets, we walked through the palace's archway and waited for the show to begin. 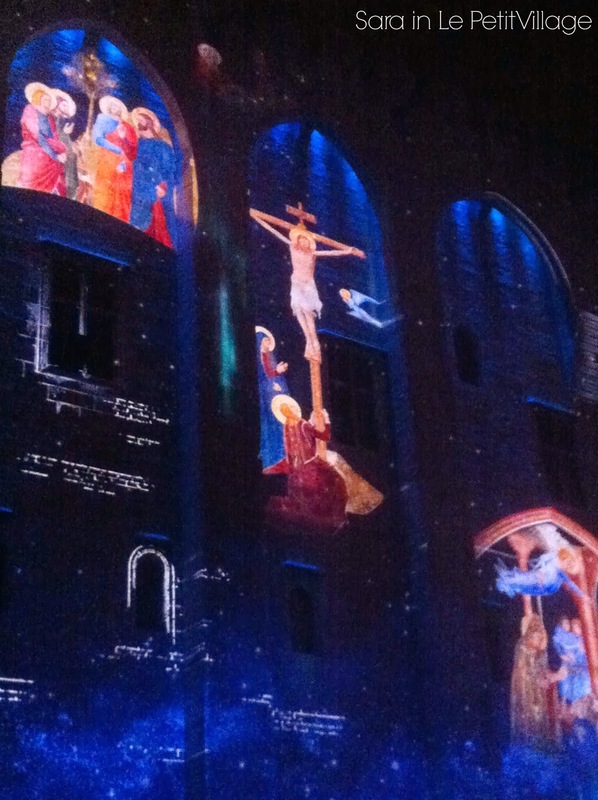 Les Luminessences d'Avignon tells the history of the Pope's Palace and Avignon from BC to the 20th Century by projecting spectacular images on the palace walls inside the cour d’Honneur. Considering the immense history of the city, it's quite the story to tell. 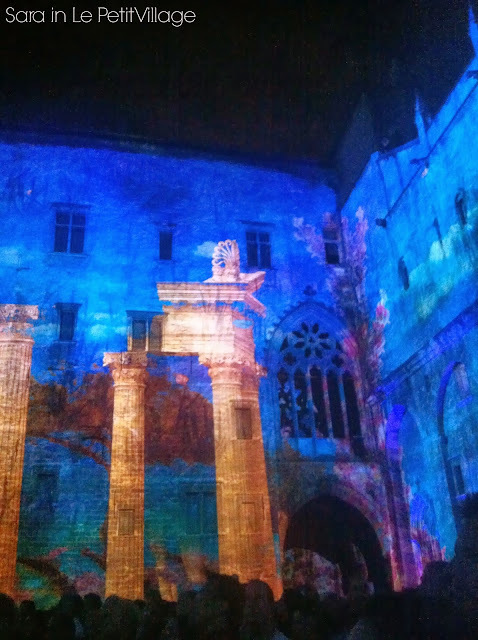 Les Luminessences d'Avignon was without a doubt one of the most fantastic events I've ever seen and I can't think of a better way to have bid au revoir to summer in Provence (unless of course it had been Les Luminessences de Le Petit Village). That looks fabulous (isn't "époustouflant" a fantastic word?! )...we saw something similarly époustouflant at the Lyon Festival of Lights a couple of years back.We've not been for a few years, due to ill health, but I think we may go back there this year - though not on 8th December, as that is a Saturday, and the pilgrims + the light goers make it too crowded for my tastes. Last time the Immaculate Conception + the Festival fell on a Saturday we really felt in danger of being crushed! I might skip my lessons so we can go on Friday. I love it! This makes me miss winter in France so much! I'll just go make some spiced wine and pretend that I'm there! This seriously looks like something out of a Disney movie. But no, it's just France! Oh, amazing! That's one of my regrets, that we never got to one of those summer light shows. They were just on too late for us with the little ones. But one day we'll go back and I'll make sure I see one, for sure. Beautiful pictures! It must have been even more beautiful in person! The French sure do lumières in a spectacular manner. 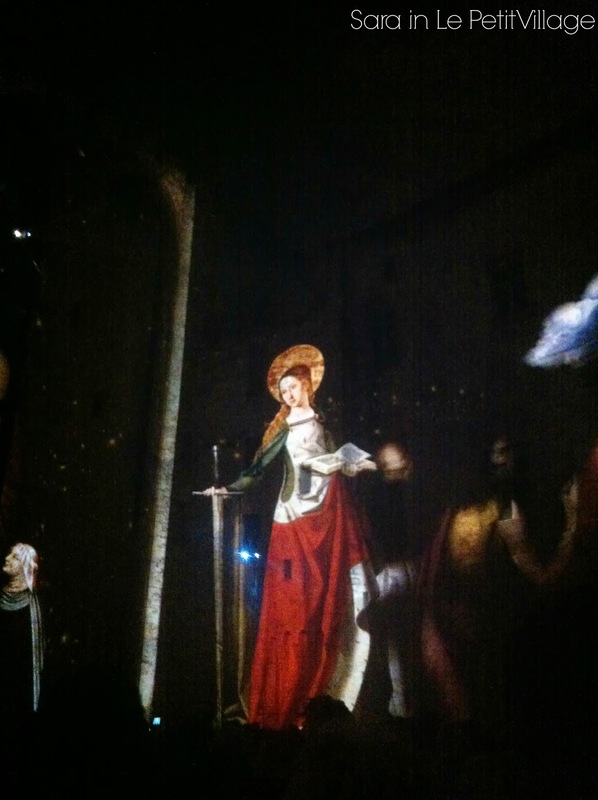 I did see the Impressionist show at Carrières des Lumières this year, which I love of course except for being practically blinded by people who were using flash on their cameras. Your photos came out great. What kind of camera and settings to you use? These photos are courtesy of Mrs.London's iphone. They came out fantastic, didn't they? So cool, I do love me a good light show! And I've always wanted to go to the fête in Lyon, but C hates crowds...one day though! Wow, I love light shows too, but my photos always turn out terrible, so well done! The Fête des lumières is always around my birthday, so I've never gone, but one year it would make a good bday excursion! Wonderful! This is something I would love to see and you have captured it all so well. 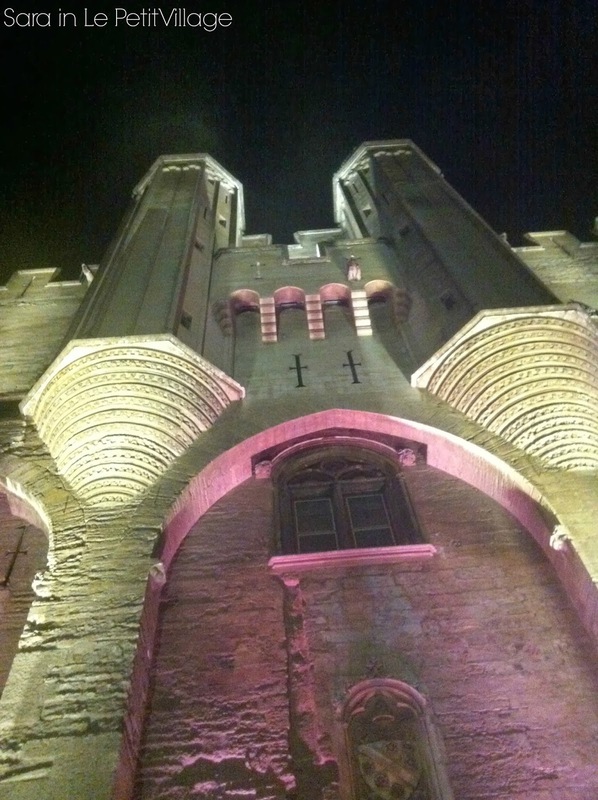 It's not easy to photograph night time events with coloured lights. It all looks so magical. Amazing! What a memorable experience. MY MIND IS EXPLODING. 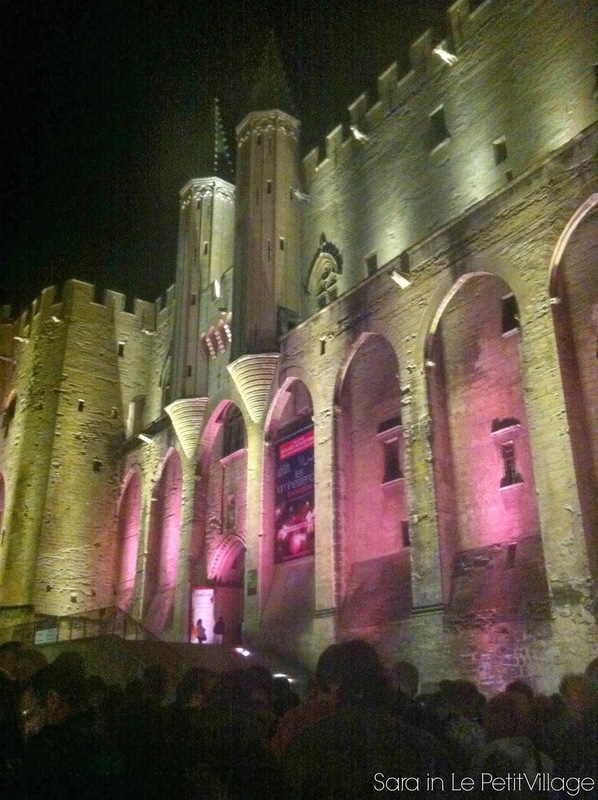 we need to time my trip to Avignon for the next time this happens. This looks so beautiful! I can't imagine it in person! That definitely looks like a pretty cool event to me! Hope it was still warm enough outside! Thanks for sharing! That looks like such an incredible event! I bet it was absolutely beautiful. 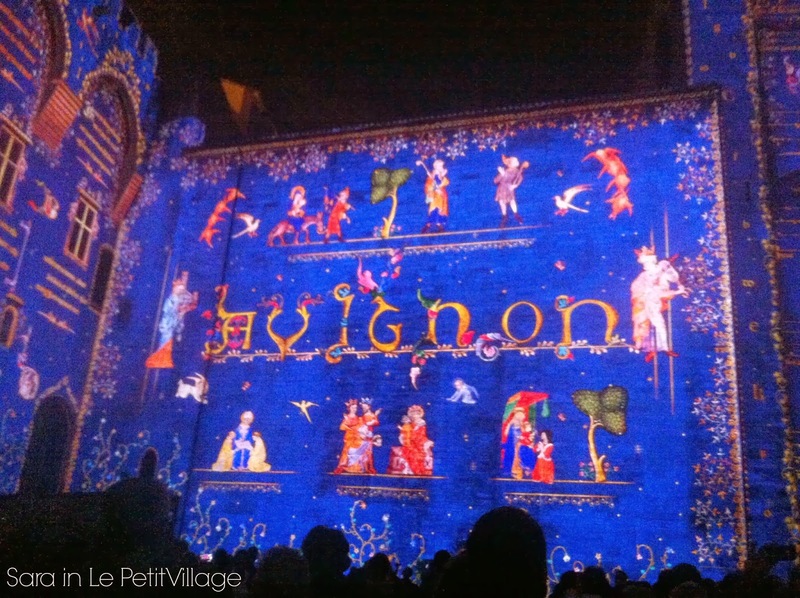 I've never been to Avignon but I've always wanted to - hopefully next time I'm in France I can catch one of their beloved light shows!